Cheerful and functional, our Moroccan poufs blend perfectly in any décor whether it is ultra modern or classic, Each piece is well crafted to provide the modern look and the reliable service for many years. You can mix and match from our wide selection to create you desired setting. 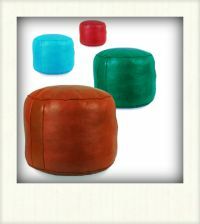 With our range of variety colors, you will absolutely find the pouf suitable for your own space. Gorgeous pieces will brighten your place and become your work of art. 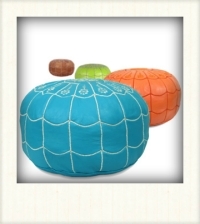 Ikram Design offers poufs that are both stuffed and unstuffed, so please consider your personal specifications. 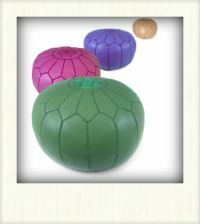 Using filling fiber to stuff them ensures that these poufs will maintain their sturdy and firm shape and that they will not get damaged over time or with repeated use. 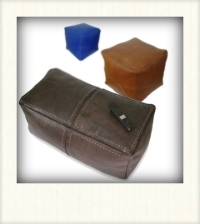 When you’re selecting a pouf for purchase, be sure to indicate whether or not you would like it to be stuffed and be sure to look through the many colors and designs that are available. 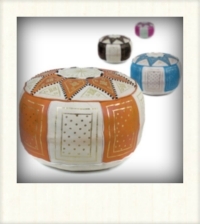 You can even consider having more than one pouf to scatter them about your house or office. People will be sure to ask where you got these additions to your décor!